The measurement results shown in Figs. 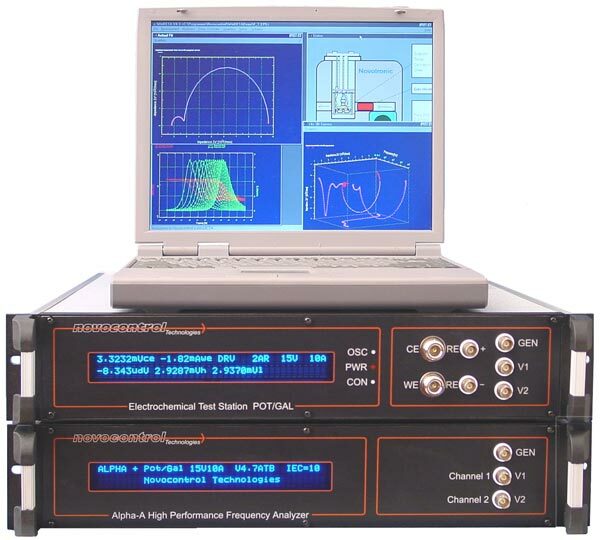 1-4 were obtained using an Alpha-ANB analyzer with ZGS active sample cell test interface and a Quatro Cryosystem system for temperature control. 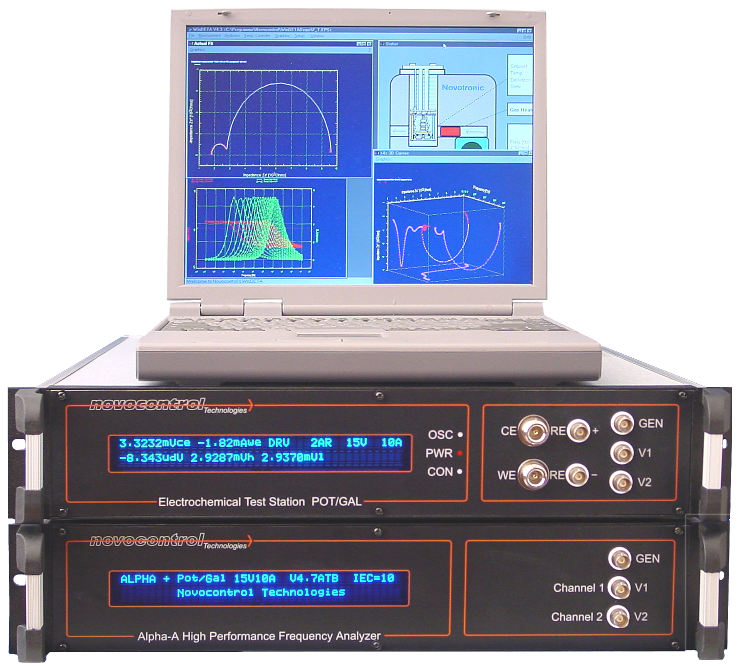 In order to demonstrate the overall system performance, PVDF was chosen as a material with moderate loss. Figs. 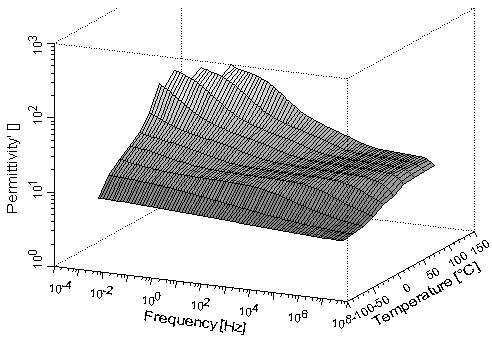 1 and 2 show the dielectric spectrum at frequencies from 1 mHz to 10 MHz at several temperatures. PVDF shows α and β relaxations with tan(δ) in the range from 0.01 to 0.2. 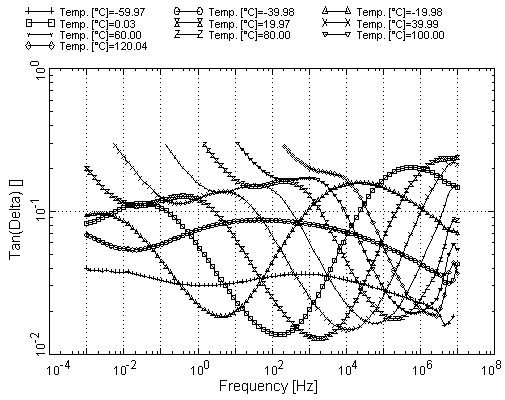 At higher temperatures, DC conductivity creates the typical low-frequency increase of ε'' with decreasing frequency. 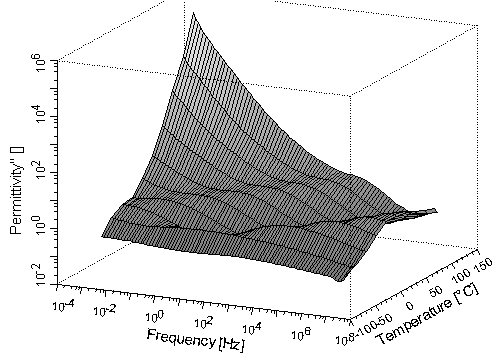 As shown in the three-dimensional diagrams, the data could be measured over the entire frequency and temperature ranges nearly without artefacts. 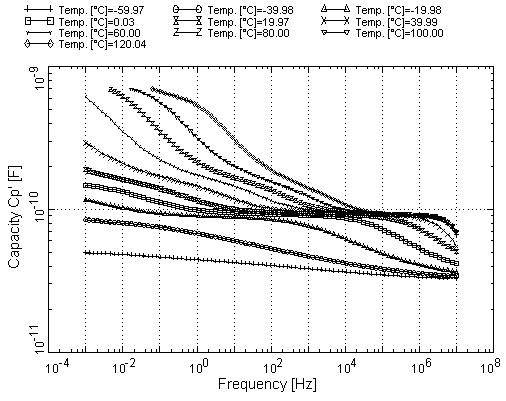 In order to show the data in more detail, the diagrams for capacity and tan(δ) in Fig. 3, 4 were confined to the range of interest.